We are excited to be a part of this camp that Babble/Disney has going on this summer. 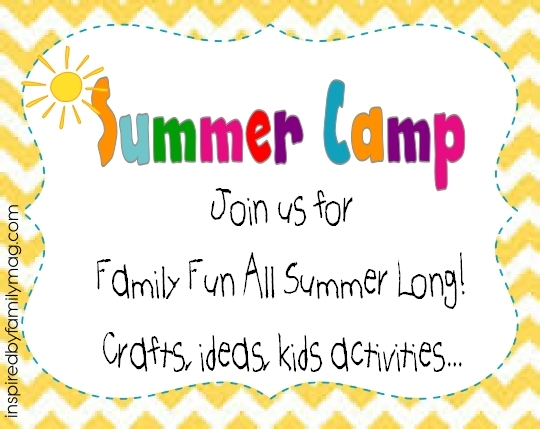 And you can join in one of two ways by linking your summer fun activities below and your craft may get featured on Babble/Disney and/or joining our Facebook Virtual Summer Camp Online Community. Are you ready for a fun challenge? It’s a simple, we want to encourage each other to be intentional this summer about making memories with our family and connecting with our kids. Are you looking for things to do this summer with your kids? Are you feeling overwhelmed at the thought of having the kids at home all day this summer? Are you already running out of ideas and you just got your summer started? Are you tired of letting another summer slip away because you weren’t intentional? We will share kid’s activities, family fun ideas, recipes and crafts that are simple and creative. We will also share learning activities for some extra fun! Join our online community (info. below) to get more tips, activities and inspiration to make a Summer Bucket list to help you be more intentional. Here’s a list of 15 Fun Activities to Add to Your Summer Bucket List. Each week in June and July we will have a camp counselor (in other words, an awesome blogger) share a project with us. At the end of each project you will have the opportunity to link up your own projects. And at the end of the month, I will feature our favorite projects. Our fabulous and lovely Camp Counselors are: Melissa from Mama Miss, Jenae from I Can Teach My Child, Lauren from Tutus & Tea Parties, Jodi from Meaningful Mama, Asia from Fun at Home with Kids, Megan from Coffee Cups and Crayons , Mari from Inspired by Familia and Vanessa from See Vanessa Craft. 1. Stay connected and join our FB group Summer Camp Online Community. All you need to do is click on the right hand corner where it says “Join group” and you will have access to our private community! In our online community, we will walk the summer fun journey together: I will share resources, ideas and activities, you can share your summer bucket list ideas with us and we will have some giveaways. 2. Follow our Summer Fun Pinterest board where I will be pinning all summer long ideas to inspire you to make memories and connect with your family. We would love for you to follow our lovely camp counselors if you’d like! Just click on their blog pages above and follow along.